Cory Klink - Educator, Healer....Black Belt! "Sparking Growth & Healing In Queer & Trans Communities"
Cory Klink is a black belt in Shaolin Kempo and an educator and healer of over 15 years of experience. 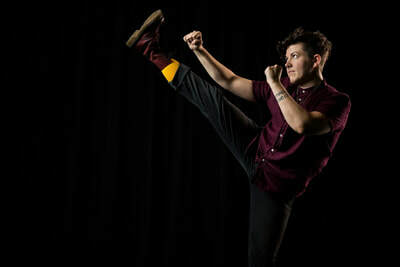 Cory is the founder of Bold Alchemy Self Defense, a program that serves LGBTQ and allies, to achieve a healthier, stronger future for the community. 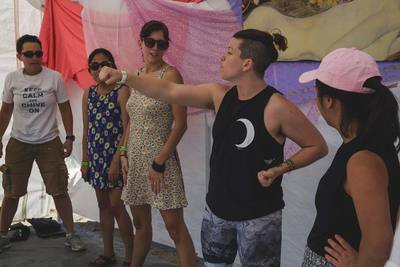 In response to the historically high rates of abuse, street harassment, and homicide in queer and trans communities, especially those of color, Cory has taught classes with non-profits, gyms, dojos, and LGBTQ establishments throughout Los Angeles. Cory Klink aims to provide pragmatic street self defense maneuvers and the transformative knowledge martial arts has to offer in healing oneself and one's community. When not found healing and educating Cory can be found riding their motorcycle, tearing up a dance floor, rock-climbing, backpacking or writing poetry. 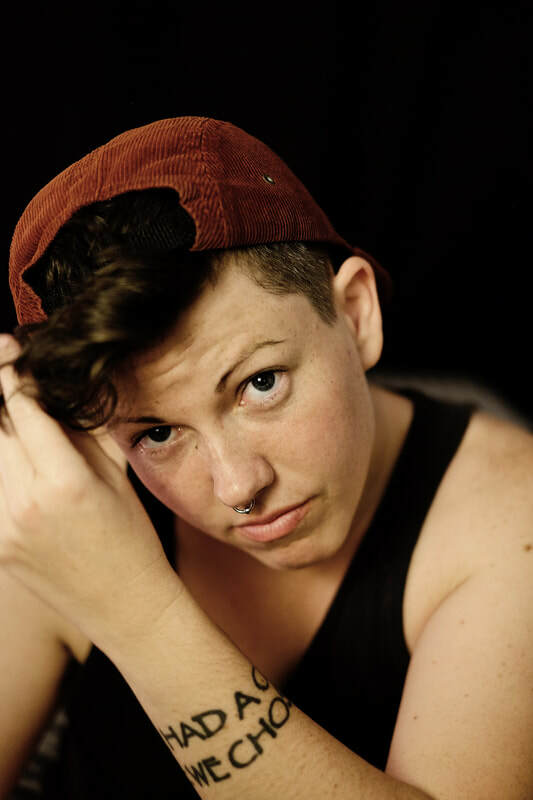 Cory is a trans/non-binary individual who prefers they/them/theirs pronouns. Cory makes self defense accessible to all, through their Bold Alchemy Programs!